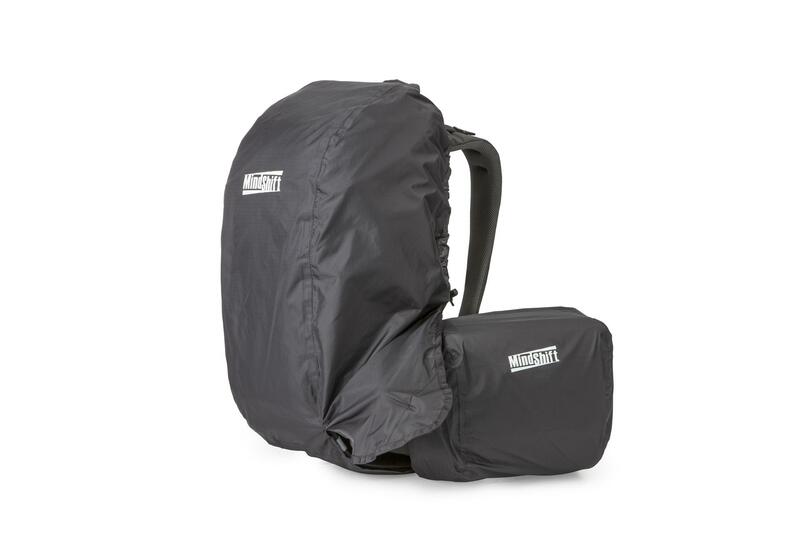 MindShift Gear rotation180° Panorama - Rain Cover. Safeguard your camera equipment with this water-resistant rain cover. The custom-design rotation180° Panorama Rain Cover fits over the rotation180° Panorama backpack, with a slot to go over tripod legs without removal. Plus, you can rotate the Panorama's beltpack with its own rain cover in place for extra protection. Both seam-sealed rain covers roll up and stow into a single pouch so you're always prepared.